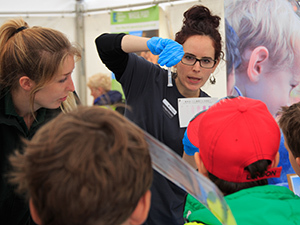 FreshWater Watch helps to organise two seasonal events in the UK, covering the Thames and Bristol Avon catchment areas. These "Water Blitzes" are open to the public with the aim to gather as much data as possible over 24-48 hours. An event was also held in Sweden this year. See below for more information. A Water Blitz is a race against the clock where volunteers test the health of as many waterbodies in their local area as possible. Normally lasting for 24 hours, hundreds of water samples are collected in a Water Blitz. 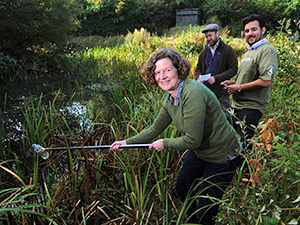 Volunteers test water in a designated catchment area and discover useful information for scientists as well as having a great time outdoors. A Water Blitz is a great way to engage new audiences, as well as gain a snapshot of freshwater quality in a particular region. Over such a short period each water sample is directly comparable and they are less subject to the influence of changing weather and seasons. All the data gathered goes to an open-source database so that researchers and decision-makers can identify areas for further investigation or gain data where little is available. 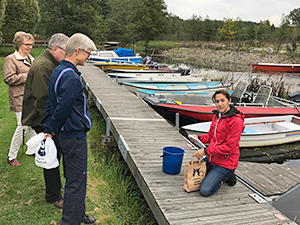 At the same time, Water Blitz results contribute to the global FreshWater Watch programme to further our understanding of global water quality issues. Any upcoming events will be promoted on this page. If you enjoyed taking part in a Water Blitz you can continue monitoring water quality all year round with FreshWater Watch. Investigate your local pond, river, stream or wetland with simple scientific tests. There are more than 12,000 FreshWater Watchers around the world - join them to help transform water management plans and promote freshwater sustainability. If you would like to hold your own Water Blitz, please contact us for details.